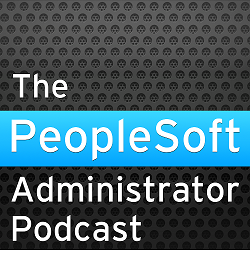 The PeopleSoft DBA Blog: PeopleTools 8.48: Descending Indexes are back! you can also use dba_ind_expressions or all_ind_expressions, joined on index_owner, index_name and column_position: it gives you the name of the column in a descending index. When we upgraded to PeopleTools 8.48 and Oracle 10g we experienced significant performance problems with descending indexes. Process that should have taken minutes were taking hours. We found that Oracle was creating the descending indexes as function based indexes. Our solution was to configure Oracle to ignore decending indexes. What is function Based indexes ? Why the descending keys inclusion will create function Based indexes ? Do we need to set any parameter to set the function based index work correctly in the database ? how to configure Oracle to ignore decending indexes ? Should user build index by removing desc keyword from the index build script every time ? >Why the descending keys inclusion will create function Based indexes ?It is hard coded into Application Designer. It is more efficient for effective date queries. It was only ever removed because of bugs in Oracle 8 and 9 that have now been resolved. >Do we need to set any parameter to set the function based index work correctly in the database ?No. >how to configure Oracle to ignore decending indexes ?It is possible to prevent Oracle building descending indexes by setting _ignore_desc_in_index. But, I think you should have good reason before you do this. >Should user build index by removing desc keyword from the index build script every time ?No. If you are that determined not to have descending indexes use _ignore_desc_in_index. In 8.48 on 11G we are facing loads of problems with indexes on fields having key defined as desceding order.Classic Exampleis position_data table. If you want to make Oracle ignore the DESC keyword in CREATE INDEX commands, and build all indexes as ascending, then set _ignore_desc_in_index = TRUE, and recreate the indexes. We upgraded to 11g & pt8.49 in the last year and continue to have performance problems with the descending function-based index so we set _ignore_desc_in_index = TRUE again. We are in the process of upgrading to PeopleTools 8.49, and have found that the DESC indexes slow our custom code down and tried the ignore suggestion, but that made delivered code produce the incorrect results, so we are forced to not ignore the "DESC" indexes. Can I force it to ignore the desceding indexes for one SQL? With a hint? Anything?